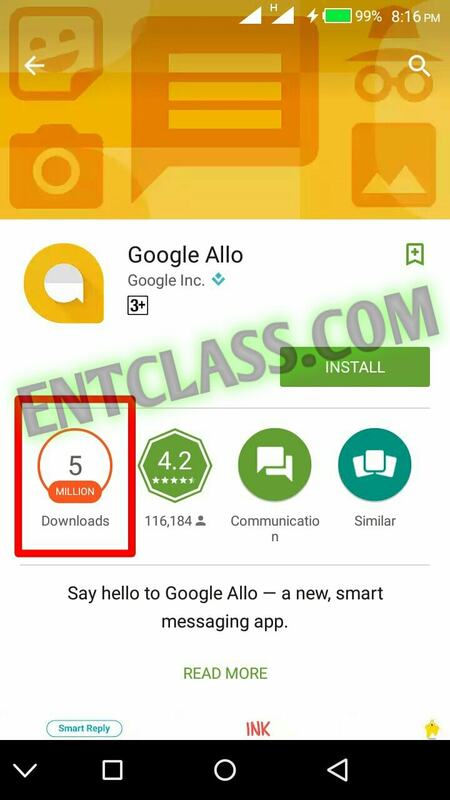 Google Allo smart messenging app which was rolled out last week, has crossed the 5Million downloads milestone on Google playstore. About 4 days ago, Google Allo crossed 1 Million downloads on Google playstore and was also listed in the top free Android app in US. This was how Google Duo got a rapid download on Playstore when it was officially launched. Seems Allo is following the same way. We could remember how Duo was interesting then when it was first launched, but now, seems Duo has faded. It's no more ranked in the top 10 free apps on Google playstore. I just hope Google Allo won't fade the way Duo faded. Let's see how the future shapes up for Allo.